With their small bodies, high energy levels and beautiful fur, Yorkies are a breed which is highly sought after. While you may be tempted to go out and rescue or adopt one right now, there are a few things that you need to know first. Below are some tips for raising a Yorkie that will come in handy. As with many purebred dogs, Yorkies have a tendency to develop quite a few health problems including hypoglycemia, luxating patella (kneecap dislocation) and reverse sneezing. 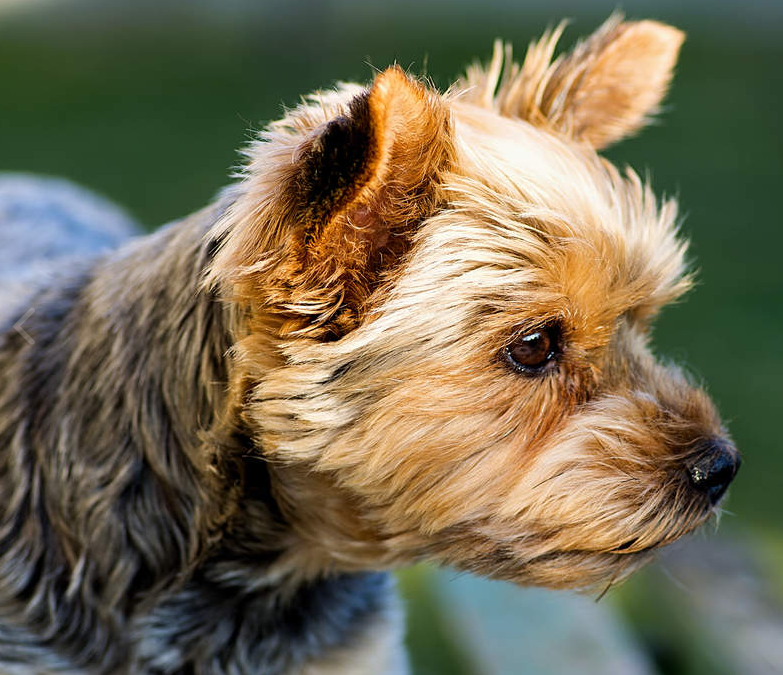 There’s no guarantee that your Yorkie will develop these issues, but it’s best to keep an eye out and take them to the vet regularly for check-ups. 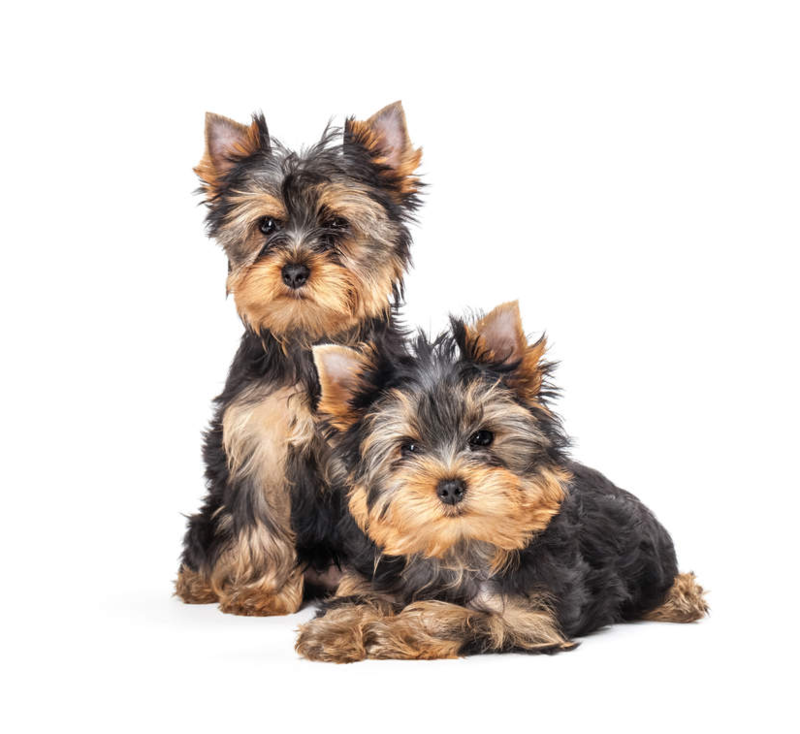 Another great thing about Yorkies is that they are incredibly intelligent and can be trained quite quickly as long as you are consistent with the training. They happen to be one of the smartest dog breeds out there so if you’re looking for one that catches on quickly, a Yorkie is definitely for you. Part of the training should include socialization and teaching them how to walk on a leash. Taking your Yorkie on daily walks also helps them (and you) stay healthy. Because of their high energy levels, it’s important that you take care of their dietary needs properly. Yorkies need a diet that’s high in protein and carbohydrates so they don’t burn off their energy too quickly and fall into a funk. Small, energetic dogs tend to have high metabolism, so they burn off their food energy fast. As far as feeding regimens, it’s best to follow the label on your bag (or can) of dog food. You will want to feed your Yorkie more often during their puppy phase because they can develop hypoglycemia if their blood sugar gets too low. If you wait too long between meals when they are a puppy this can cause issues. For more information on Yorkie’s diets you can read this article. While Yorkie’s may be a bit of work to raise, the love and affection they give in return are priceless. Yorkies are dogs that will love you and be incredibly loyal to you until the end of their days. Once you have gained a Yorkie’s trust, you will have it for life and there is no better companion to have by your side than this lovable breed! 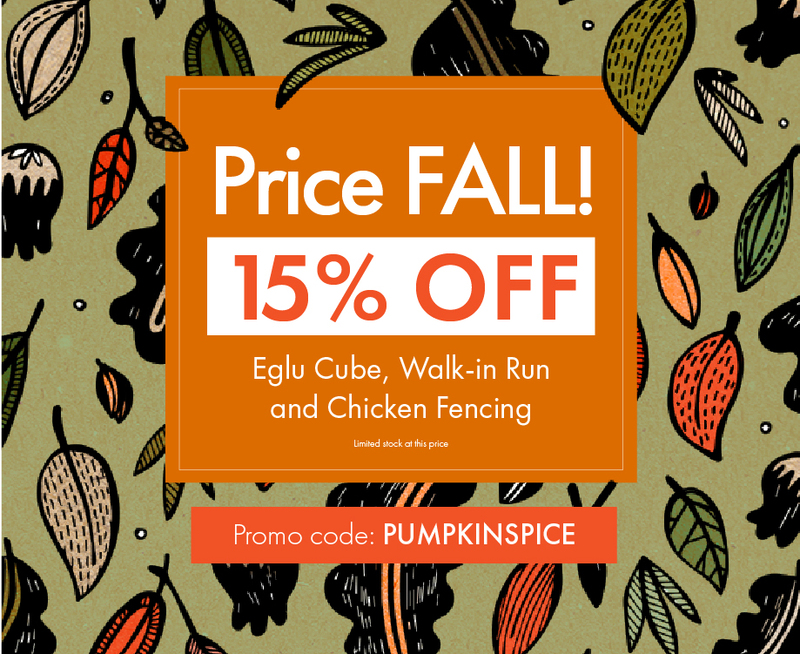 Save 15% off Eglu Cube’s, Walk in Runs and Chicken Fencing for a limited time! Fall is now upon us. There’s a chill in the air, falling leaves, and falling prices at Omlet! We are offering an eggtastic 15% discount off Eglu Cube’s, Chicken Fencing, Walk in Runs, Eglu Cube Extensions and Walk in Run Extensions for a limited time. If you’re looking for some poultry netting to fence in your chickens, this is a great choice. This handy chicken fencing comes in green, to blend into your garden. It is available as a 39, 68, 105, 138ft rolls and is very easy to put up and move about. Use this poultry fencing to keep your chickens within an area, giving them more space to roam or, of course, out of a part of your garden, like your prized vegetable patch! Quote PUMPKINSPICE at checkout to claim 15% discount for a limited time!! 15% off promotion is only valid from 25/9/2017 for a limited time. Quote Promo Code PUMPKINSPICE at checkout to claim the 15% discount. Subject to availability – there is limited stock at the discounted prices. Omlet inc. reserves the right to withdraw the offer at any point. Discount is only applicable to Eglu Cube’s, Chicken Fencing and Walk in Runs. Discount cannot be transferred to delivery or courses. Excludes delivery. Offer is only valid on fully priced items and cannot be used on existing discounts or in conjunction with any other offer.